The LumberMate LM29’s healthy appetite for hardwood and softwood logs up to 29” (72cm) in diameter combined with its 22” (55cm) throat opening, give it the muscle to tackle most milling needs. And it’s so easy to use that even first-time sawyers get to milling like seasoned pros in no time.Standard, the LumberMate LM29 comes in affordable stationary manual configuration. 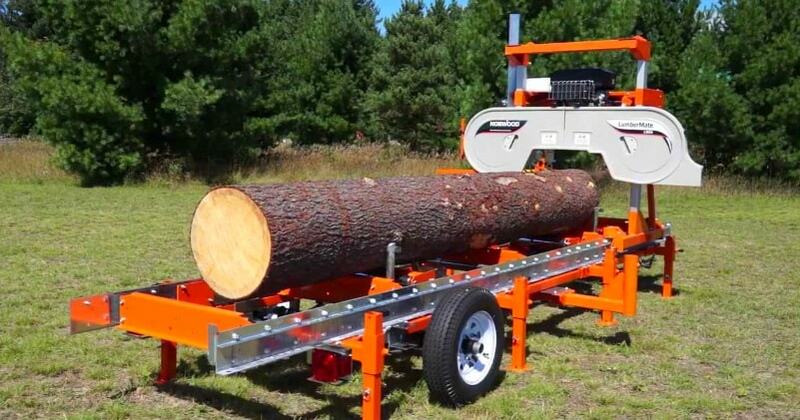 The LumberMate LM29 is equipped with some of Norwood’s latest ground-breaking advancements in sawmill innovation including Norwood’s patented auto-locking sawhead and laminated sawhead technologies.With the Smooth Sawhead Feed , you can guide the sawhead through the cut with finger-tip pressure.